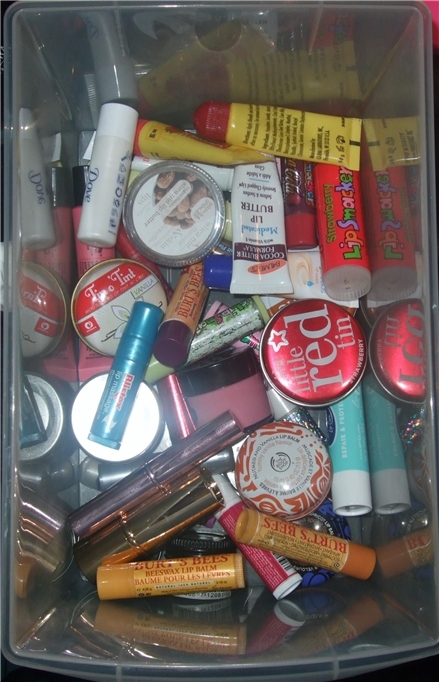 I'm a lip balm addict and a hoarder and I should probably toss a few of these as some of them have probably gone bad but I do use more than I waste which is a good thing I suppose. wow that's a huge collection, I'm sure I have a lot. they are dotting around in different draw's and in bags. They are a must have, I forever am asked by mates if I have some. I've got loads too, I did a post back in January asking what format people preferred. 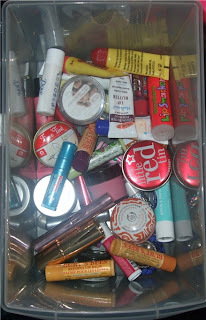 I'm sucker for cute tins and I've got a few lip balms that are utter rubbish but the tins make up for it.